Welcome to the Alternative Fueled Vehicles section, where I’ll cover the subject of transit buses that are powered by means other than traditional diesel fuel. This includes biodiesel, diesel-electric hybrid, battery electric, and compressed natural gas (CNG). Originally, this was a subsection within the Hillsborough Area Regional Transit section back when I primarily covered that agency on its own. However, as The Global Transit Guidebook expanded, this page was siphoned onto its own realm to cover other agencies that have one of the above mentioned fueled vehicles. While liquefied natural gas (LNG) and hydrogen fuel cell transit buses were largely short-lived production ventures, these vehicles did exist at one time – and there may still be a few running. However, use of the other fuel types mentioned is growing – specifically the use of battery electric transit buses. So what’s up with traditional diesel? Diesel fueled vehicles have been around for a long time and will continue to be a staple within the transportation industry for at least the next few decades. However, like gasoline, it relies on pumping fuel from the ground – which will eventually run out. Plus, diesel is dirty and harmful for the environment. You’ve probably heard of “Clean Diesel” but is it really that much better? Clean diesel is the new generation of diesel made up of a three-part system that combines cleaner diesel fuel, advanced engines and effective emissions control technology. This new system ensures that clean diesel engines will continue to play a dominant role in the future while helping meet energy security, greenhouse gas and clean air objectives around the world. By the Diesel Technology Forum. I’ll let you be the judge of that statement. I’m not entirely convinced that it’s better than older vehicles that rely on older diesel engines and thus emit dirtier fumes. Pinellas Suncoast Transit Authority bus #2834 is a traditional diesel bus with a newer, clean diesel engine and an EPA-approved particulate tailpipe on the rear. Some of you may have heard of biodiesel and maybe even have come across such powered vehicles. Biodiesel powered vehicles aren’t really that different from any other diesel powered vehicle, but the characteristics of the biodiesel fuel itself is what differs from traditional diesel fuel. Biodiesel comprises of vegetable oils, animal fats, or recycled restaurant grease. Such is blended into a fuel that can be dispensed into just about any diesel engine. 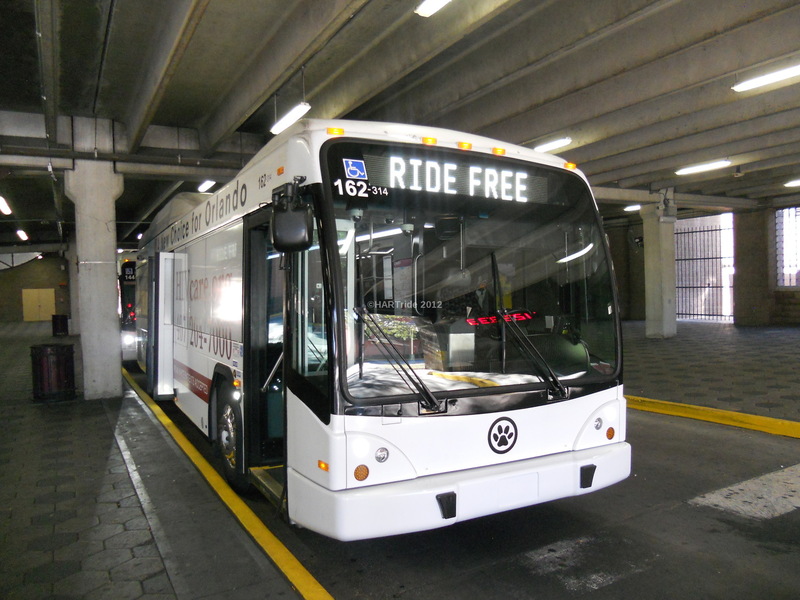 Currently, the University of South Florida Tampa Campus Bull Runner shuttle uses a fleet of diesel buses that utilize biodiesel. However, there is a push locally to get the university to ditch that fleet in favor of battery electric buses. We’ll see if that shift finally happens. Read more about biodiesel at the US Department of Energy website. The diesel-electric hybrid transit bus is very commonplace in the US and abroad. It combines the traditional diesel engine with electric battery cells located on the roof of the bus. Both components work in harmony to power the bus along its daily journey. A diagram showing a basic overview of how a diesel-electric hybrid transit bus works. While the diagram above depicts a Gillig hybrid transit bus, many transit bus manufacturers build hybrids – including New Flyer. The concept of diesel-electric hybrid transit buses was built upon years of research and testing – eventually creating a level playing field by which transit agencies could obtain a fleet of efficient hybrid buses at an affordable cost without dealing with too many concerns as to how carbon emissions may wind up or how long a battery charge will last. For the longest time, we’ve seen here in the US, the Allison hybrid system. The Allison system by General Motors (GM) utilize parallel drive technology that is more efficient than the traditional series systems. Long life, non-hazardous, and maintenance free NiMH batteries capture and store braking energy and advanced solid state controllers manage and blend power sources to optimize performance and efficiency. Within the last decade however, we’ve seen a direct hybrid system competitor rise to prominence in the US – BAE Systems. BAE produces its HybriDrive product line for transit buses, maritime vessels, cargo, and heavy duty military vehicles, as well as rail vehicles. BAE does business with Gillig, New Flyer, and other major transit bus producers to produce a high quality hybrid propulsion system – as well as zero-emissions and near-zero-emissions propulsion systems. Recent technological advancements in the BAE HybriDrive system have made buses run even more efficiently than their older counterparts. In fact, the battery is in full operation while the bus is traveling below 25mph. Once the bus exceeds that speed, or if the battery depletes below 60%, the diesel engine will kick in and recharge the battery. Operators at various transit agencies had to receive special training on these newer buses because when the bus is idle, the engine will make a vibrating noise as if it was shutting off. However, the bus is still running even when in idle. This advancement creates a much quieter ride than its older counterparts, even when the diesel engine is running. Please see the gallery below to view photos of the various diesel-electric hybrid buses that I’ve taken over the years. ^ Bus uses the Allison system. * Bus uses the BAE system. Hillsborough Area Regional Transit # 2427^. 2004 40′ Gillig Low Floor (Retired). Pinellas Suncoast Transit Authority # 12104^. 2012 40′ Gillig BRT. Pinellas Suncoast Transit Authority # 18105*. 2018 35′ Gillig Low Floor (BRT front, Standard rear). Pinellas Suncoast Transit Authority # 925^. 2009 35′ Gillig Low Floor Replica Trolley. New York MTA #6696^. 2006 40′ Orion VII. 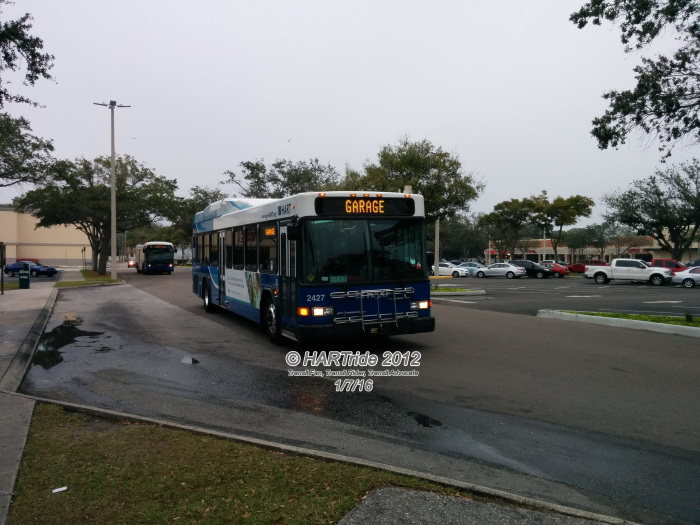 Manatee County Area Transit #54565^. 2010 29′ Gillig BRT. 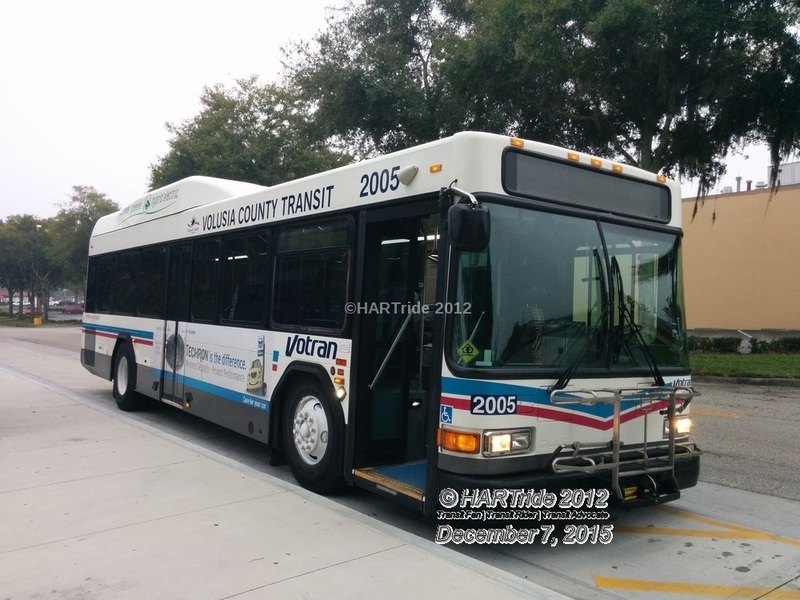 Sarasota County Area Transit # 0605^. 2006 35′ Gillig BRT. Central Florida Regional Transportation Authority (d.b.a. LYNX) # 162-314*. 2013 35′ Gillig BRT. Central Florida Regional Transportation Authority (d.b.a. LYNX) # 132-613^. 2013 60′ Nova LFS. Volusia County Transit # 2005^. 2012 35′ Gillig Low Floor. 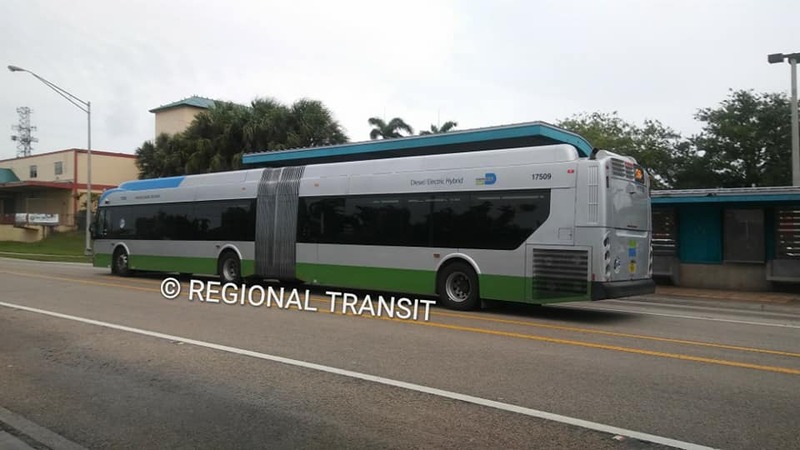 Miami-Dade Transit #17509^ (Credit: Carlos A.). 2017 60′ New Flyer Xcelsior. Hampton Roads Transit (HRT) # 4023^. 2008 29′ Gillig BRT. The RATP in Paris, France operates several different models of hybrid-electric/diesel buses, though some models are not widely used within the network. In recent years, some buses have been purchased by the regional transit operator, Syndicat des transports d’Île-de-France (or STIF, which is now known as Île-de-France Mobilités). STIF buses are identifiable through their grey livery with the STIF logo on the side or the new Île-de-France Mobilités livery. Below is a list of the makes and models of hybrid buses that the RATP operates, and how many of each model operate in revenue service. This list was compiled during the month of April/May, 2013, and comes from the website http://www.busiloe.fr/, which is in French. Now to some photos of the RATP buses. I’ll only distinguish between articulated and non-articulated buses for now, but I may be able to get a few more posted here soon. All photos listed in this sub-section are courtesy of Minato. One of the many Man Lion’s City standard (non-articulated) hybrid-electric/diesel buses (not sure if this is a G or GL model though) that traverse the streets of Paris. Notice how the battery compartment is towards the front of the bus, rather than towards the back. You’ll notice how this is an STIF (n.k.a. A Heuliez GX427 hybrid-electric/diesel articulated bus running on Route 91. This is currently the only bus of this particular model that is in revenue service. Notice that this too is an STIF (n.k.a. Compressed Natural Gas is becoming a popular alternative to traditional and even clean diesel-powered buses. CNG utilizes Methane gasses that are stored at high pressure. Compared to diesel and propane (LPG), CNG emits fewer undesirable gasses and is safer than other fuels in an event of a spill (Source:Wikipedia). Many transit agencies across the nation and the globe use CNG-powered buses. New Flyer has been offering CNG-powered buses since the early 1990s, with Gillig following suit in 2010, and then Nova Bus in 2013. Hillsborough Area Regional Transit # 1720. 2017 40′ Gillig BRT Plus. Hillsborough Area Regional Transit 4000-series (2014) Ford E450 cutaway van. Central Florida Regional Transportation Authority (d.b.a. LYNX) # 227-616. 2016 60′ New Flyer Xcelsior. Central Florida Regional Transportation Authority (d.b.a. LYNX) # 244-416. 2016 40′ Gillig BRT Plus. Miami-Dade Transit #18112. 2018 40′ New Flyer Xcelsior. (Credit: Carlos A.). Régie Autonome des Transports Parisiens (RATP) line of Renault Agora CNG buses on layover (Credit: Minato). 25 years ago, a battery electric transit bus may have seemed far fetched. However today, battery electric buses are becoming popular across the US and in China, with evolving technological advances leading to longer battery life during a single charge. Lithium-iron phosphate batteries are positioned either on the roof or within the floor of the transit bus (depending on the manufacturer). CCW specializes in rebuilding transit buses that may have been involved in severe accidents or are needing major overhaul. However, the company embarked on a pilot project in 2012 to convert an existing transit bus from diesel propulsion to a battery electric setup. To learn more about CCW, you can visit their website. A Complete Coach Works rebuilt 2003 40′ Gillig Low Floor bus operating on a demo run with Ben Franklin Transit. CCW utilizes rebuilt Gillig buses that were originally powered by diesel fuel. Credit: Zac Z. 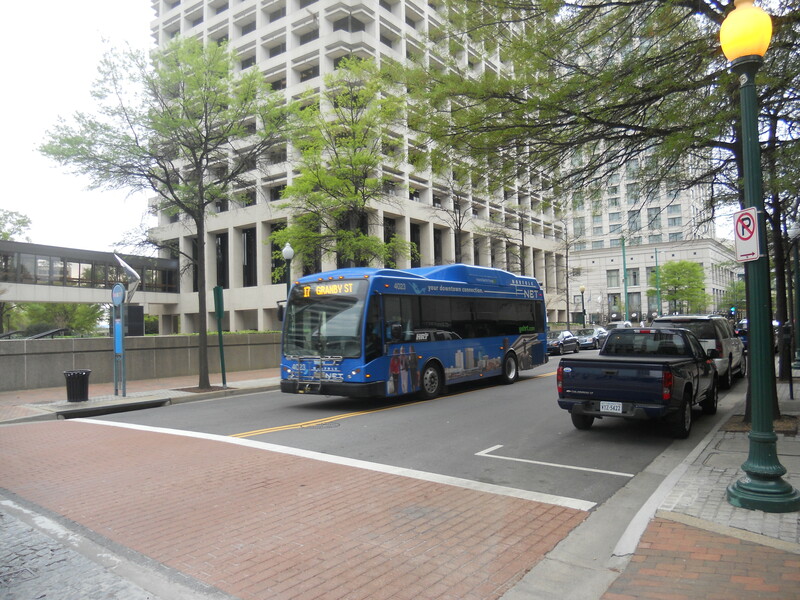 Our guest blog author Zac Z. wrote a few posts about the CCW bus at BFT on his blog – Transit 509 – back in 2012 and 2013. I invite you to read through them. For technical details; click here to visit the CCW ZEPS bus page. China-based BYD has been building battery electric buses like wildfires in China and has been gradually expanding its operations in the US. Currently, a handful of transit agencies operate BYD-made buses and haven’t seen many issues with them so far. The only exception was a highly-publicized gaffe with an order of BYD-made articulated buses that ABQRide in Albuquerque, NM ordered for its bus rapid transit (BRT) line. The buses apparently weren’t properly tested and thus suffered numerous major defects. The agency and the city of Albuquerque ultimately rejected the order and ordering a line of New Flyer diesel articulates as replacements. BYD demo bus at the Ben Franklin Transit operations center. Credit: Zac Z. Later model demo bus in St. Petersburg, FL. Next generation demo model at the Pinellas Suncoast Transit Authority operations center. Demo model donned in special wrapping during the American Public Transit Association annual bus roadeo in St. Pete. Pinellas Suncoast Transit Authority (PSTA) # 18110 on the Looper (Route 711) in Downtown St. Petersburg. 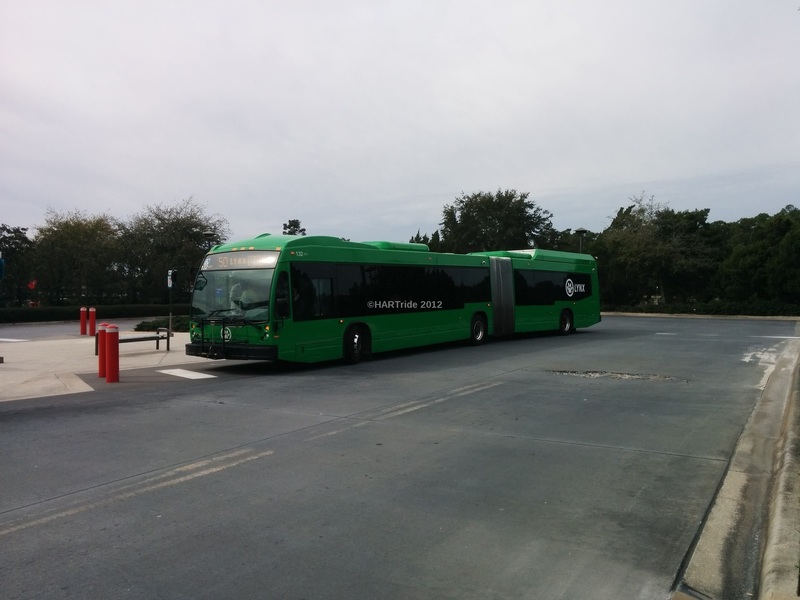 During my trip to Tallahassee, FL in October of 2014, I discovered the Proterra Electric Bus. The city’s transit agency, Star Metro, has five of these buses in its fleet. Proterra was formed in 2004 & prides itself on manufacturing transit buses that are powered by alternative fuels, specifically…batteries. Yes, these buses are powered by batteries that are stored underneath the floor of the bus. The company is based out of Greenville, SC, with an office in the San Francisco Bay Area. A StarMetro operated Proterra 35′ EcoRide bus at the C.K. Steele Transit Plaza in downtown Tallahassee. Photo Credit: HARTride 2012. October, 2014.
the New York Metropolitan Transportation Authority has been testing a small fleet of Catalyst buses, it’s unclear though whether they’ll make an order. In the last few years, New Flyer Industries – a powerhouse for heavy-duty transit buses in the US and Canada – introduced the battery electric variant of its highly successful Xcelsior brand of transit buses. Its demo bus has traveled to many US and Canadian cities and so far has signed on with Winnipeg Transit in Canada, and the Chicago Transit Authority and the Washington (D.C.) Metropolitan Area Transit Authority (WMATA) in the US. As of February, 2018, the Chicago CTA has been very satisfied with the two introductory units that they’ve been testing on their system and have announced that they will purchase more of them in the coming months. This news came on the heels of the New Flyer demo unit making rounds in the Miami-Dade area before spending a day with PSTA. Additionally, the New York Metropolitan Transportation Authority has been testing a small fleet of Charge buses and is preparing to make its first order. New Flyer Xcelsior Charge demo bus at the Pinellas Suncoast Transit Authority operations center in St. Petersburg, FL.